In 1930 the economist John Maynard Keynes wrote a short, influential essay entitled Economic Possibilities for our Grandchildren. The Depression had not yet hit rock bottom, but Keynes was worried about a macroeconomic trend he called “technological unemployment” — namely, “unemployment due to our discovery of means of economising the use of labour outrunning the pace at which we can find new uses for labour.” Automation anxiety is an ancient phenomenon, and includes a lineage of distinguished British thinkers dating back to the dawn of the Industrial Revolution. In the following decades, Keynes’ essay became the focal point of a large literature on the idea that machines will create widespread structural unemployment. Today, we are likely in the very early innings of another major wave of innovation and technological unemployment.For this reason, it is useful to think about what Keynes got right and wrong. Keynes projected that 100 years hence, the standard of life in Western countries would approach 8 times the level it was in 1930. His prediction was remarkably accurate. Since 1930 GDP per capita in the US has increased 6.5x, and should hit 7.5x by 2030. Keynes thought this enormous increase of wealth would gradually liberate human beings from the necessity of working at all — but he had drawn the wrong implications from his economic data. The great thinker predicted that in the superabundant 21st century “three hours a day” would be enough to satisfy most people. But for the average American the number remains close to eight. The explanation for this discrepancy is that in the past hundred years we have found myriad ways for wealth to raise our standard of living. Any living American feels “poor” if he lacks access to inventions such as cars, indoor plumbing, and modern medicine. We adapt to technological progress by raising our minimum standards of living and working to stay above this rising threshold. Consequently, the cost not to be “poor” today is higher than it was in Keynes’ time. There are still at least hundreds of years of progress to be made in science, medicine, and technology. There are new corners of the human psyche to be explored with the tools of psychology and neuroscience, transportation systems and metropolitan infrastructure to be reengineered, and advancements to be made in literacy, numeracy, and sanitation. We have yet to fully explore depths of the ocean floor or the other planets in our solar system. As we progress as a species, we will unlock new means for enhancing our lives at every turn — and our conceptions of wealth and poverty will evolve in tandem. Technological innovation will empower us to live lives of plenty. But it is not in our nature to pursue lives of leisure. Critics of capitalism often describe work-ethic in terms of greed and unending materialism. They ask: what reason do we have to continue working hard once our biological needs are met? The answer is that work is in fact profoundly positive-sum. Hard work enables us to improve ourselves and the world around us, to combat injustice, reduce suffering, and increase human freedom. It allows us to live out the principles of progress, humaneness, and service to others known as “Tikkun Olam” in the Jewish tradition. Hard work makes us better people and helps our communities flourish. Keynes’ fundamental error is to conceive of work as purely instrumental to a good life. He argues that technology will ultimately solve the “economic problem” of providing for our basic biological needs, thus freeing us of any obligations to work at all. In Keynes’ post-economic utopia supply and demand will dissolve away — much as they do in the aftermath of Karl Marx’s “proletariat revolution.” In a world where labor is automated and capital resources are widely available, “it will be those peoples, who can keep alive, and cultivate into a fuller perfection, the art of life itself and do not sell themselves for the means of life, who will be able to enjoy the abundance when it comes.” Keynes is careful to note that this future will take a long time to materialize, writing that our work ethic and “intense purposiveness” will remain strong within us for many generations. But ultimately labor will go the way of the lamplighter and we will be left to pursue the art of life in days of complete leisure. Unlike Keynes we think that our needs are mostly relative in principle. The human outlook is deeply grooved with assumptions of scarcity at the level of the human genome. From the perspective of evolutionary biology we are wired to assume that calories, sexual reproduction, bodily security and companionship are scarce goods. Keynes’ taxonomy of relative and absolute needs isn’t useful in thinking about genetic determinants on human behavior, because from the perspective of the gene all of our desires are limitless. It is a wonder that this idea was lost on Keynes, who famously described market decisions as the result of spontaneous urges in the form of “animal spirits”! Instead, there are infinitely many ways in which we can improve our societies, as befits our finite, corporeal nature. There is always something to fix, improve, create or amplify. Therefore, labor is not a zero-sum game of working the precise amount necessary to satisfy a limited set of natural desires for food, shelter, security and community. If it were, most of the Western world, staggeringly wealthy by historical standards, would surely have stopped working hard in the early 1900s. The distinction between the “developed” and the “developing” worlds is a false dichotomy — the difference is not a matter of kind but of degree. We are all developing towards a more prosperous future. In other words, Keynes’ “economic problem” should be recast as a perennial challenge: how can we improve our circumstances on earth today? While Keynes gets the evolutionary story partly right, he draws the wrong philosophical implications. We intrinsically crave heightened sensual experience, superior physical health, a richer understanding of our world, and elevated artistic achievement — as well as more extensive peace, prosperity and justice for our fellow man. It is in our nature to continue to climb. This drive has gone by different names in different times; for the Platonists it amounted to a telos of divinity, for Nietzsche it was a secular “will to power.” Buddhist and Stoic traditions counsel a repudiation of these earthly drives — and there is much to say for a wisdom of detachment. But for those who choose to remain engaged in the world, hard work is a clear path to human flourishing. It is no surprise that great thinkers have often commented on the way in which meaningful work determines a person’s self-respect. John Rawls, for instance, argued that the lack “of the opportunity for meaningful work and occupation is destructive not only of citizens’ self-respect, but of their sense that they are members of society and not simply caught in it.” Work empowers us not only to survive, but also to thrive; to improve the lives of others by inventing new solutions to social problems even as our own lives are enhanced by others’ creativity. Keynes’ “needs-satisfaction” paradigm is an impoverished way of thinking about our place in the world. Levels of humanitarian engagement with developing countries are soaring in Europe and the United States, even as we work to improve our own societies. We are creating new and more varied forms of art, cuisine, and entertainment as technology and wealth free up people to exercise their creative ability and help others. Keynes’ mistake was to miss the unbounded spirit of progress animating these developments. There is much more we can do to improve the condition of humanity, at home and abroad. Over the course of the next century, technology will lift most people out of poverty as-currently-defined, satisfying the material needs of the global population in creative and more efficient ways. We shouldn’t lose sight of the fact that true poverty in 1916 was far worse than most “poverty” in the 21st century. If we are able to maintain a society which holds fast to the Western tradition of markets and property rights, we will continue to foster innovation and economic progress. In the coming years, new jobs will be created in industries that require the cognitive skills of creativity and intense analytical reasoning, as well as in areas where human contact is at a premium. We will see an explosion of jobs in health and senior care, professional coaching of all kinds, e-marketing, and an expansion of executive assistant and chief of staff roles catering to the needs of our swelling upper-middle class. The mechanization of rote tasks will allow Americans to focus on the distinctly human advantages of complex sensorimotor skills, social intelligence, and lateral thinking. Work in the 21st century will be more fulfilling for Americans than the manual labor and “human middleware” jobs that characterized the last half of the 20th century. Temporary spates of technological unemployment will be followed by golden eras of human liberation in which we channel our talents towards improving our society in unforeseen ways. There is much to be said for Keynes’ vision of the world. His macroeconomic calculations were startlingly accurate, and we admire his optimism about the possibility of creating conditions in which all human beings can live healthy, meaningful lives. He was correct to identify technological unemployment as a true social problem. But in conclusion we would do well to remember that Keynes’ central view in Economic Possibilities for our Grandchildren has not withstood the test of time. 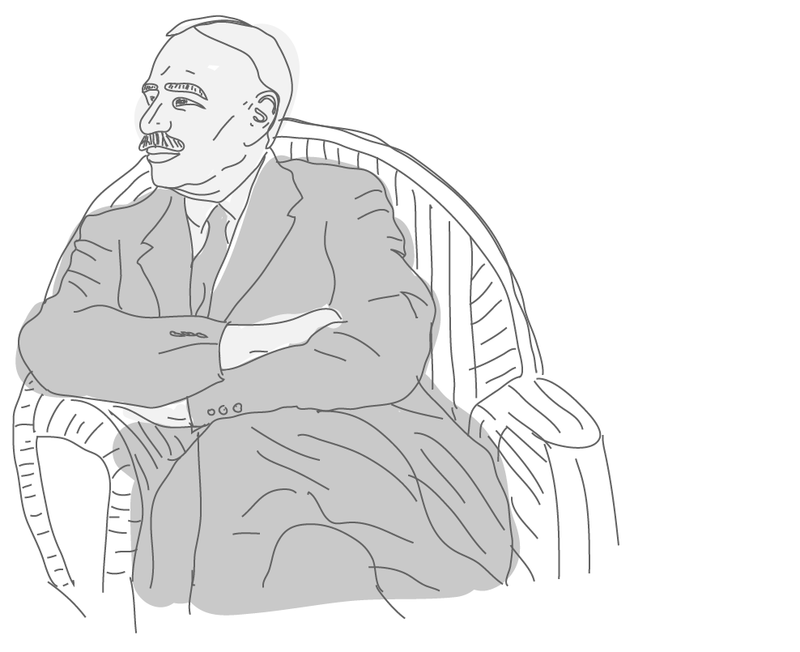 We are the grandchildren and great-grandchildren of Keynes’ generation. Yet here in the 21st century — several factors wealthier than Keynes’ generation in real terms — we are more fully ingrained in a global economic order than ever. We believe that as the automation of old jobs continues, people will find new and exciting ways to employ their distinctly human faculties. In the spirit of progress, we will continue to transform the world around us into a more beautiful, plentiful, and empowering place. Only in so doing will we cultivate the art of life to its most vibrant expression. This is the first installment in a two part series.Here we unpack the philosophical and evolutionary assumptions at work in the debate over technological unemployment. In Future of Labor II, we discuss the economics of new job creation and chart several industries of the future which will create employment opportunities for American workers. Future of Labor II was published by WIRED and can be read here. Aristotle, “Politics.” Trans. Benjamin Jowett, 350 B.C.E. Book 1, Part IV. Mildmay, (Sir) William. “The Laws and Policy of England: Relating to Trade, Examined by the Maxims and Principles of Trade in General; and by the Laws and Policy of Other Trading Nations.” 1765. Mortimer, (Sir) Thomas. “The Elements of Commerce, Politics, and Finance: In Three Treatises on Those Important Subjects.” 1772. Kay-Shuttleworth, (Sir) James. “The Moral and Physical condition of the working classes employed in the cotton manufacture in Manchester.” 1832. Marx, Karl. “The Grundrisse: Fragment on Machines.” 1857. Keynes, John Maynard. “Economic Possibilities for our Grandchildren.” 1930. Bureau of Economic Analysis, U.S. Department of Commerce. “Table 7.1: Selected Per Capita Product and Income Series in Current and Chained Dollars.” 2015 data. Hegel, G.W.F. “Phenomenology of Spirit.” Trans. A.V. Miller, Oxford U.P., 1977 . Rawls, John. “The Law of Peoples: With, The Idea of Public Reason Revisited.” Harvard U.P., 1999.